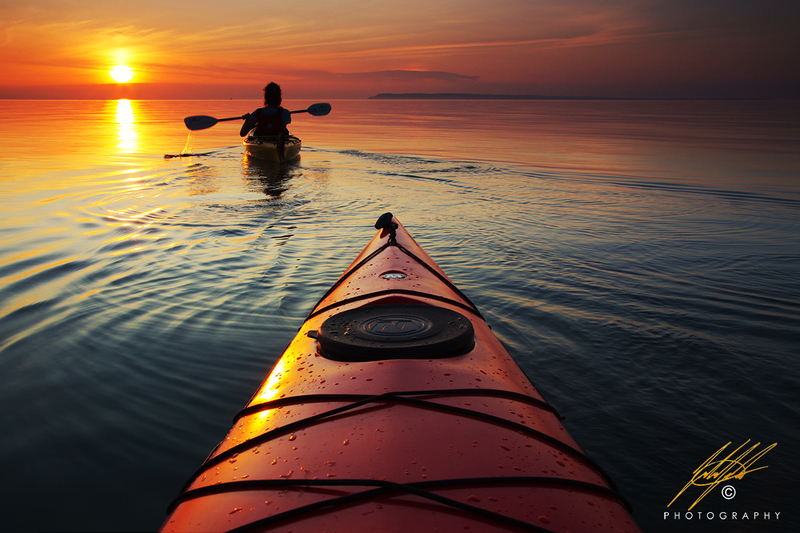 With "Evening Paddle" I wanted to put the viewer inside of my kayak. I want others to feel as though they are there so they may be able to connect with the scene more powerfully. 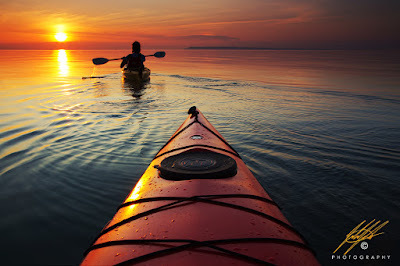 My wife and I launched at Glen Haven, part of the Sleeping bear Dunes National lakshore, and headed towards South Manitou Island and the setting sun. She was slightly annoyed of having to continually paddle into the frame for me to capture the moment perfectly, but happy in the end with the results :)! Photographing from a kayak is risky so I place my gear in rugged dry bags that I keep tied down on the front deck. It pays to be overly cautious when working on or near the water. Its best to have a friend of partner with you at all times. Enjoy the water and always be careful. Canon 6D, Canon 24-105L (@28mm), 2-stop Reverse Graduated Neutral Density Filter, ISO 400, F/16, 1/60th of a second.